• includes 48-MSC plastic carry case (#745-5315) for storage. 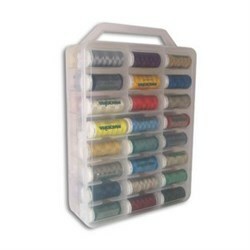 Use this mini snap cone kit of 48 pre-selected thread colors to enhance your thread collection! You''re sure to find one you''ll love.